This section consists of a few other minor lines which do not fit into the above five categories. 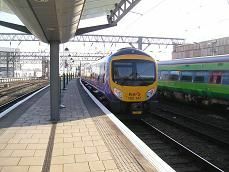 These include airport branch lines, cross-London lines which go through different ex-BR regions and privately owned community railway lines which exist for the local community as well as for tourists. 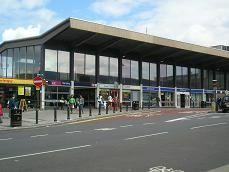 There are several UK airports which are served by their own dedicated branch lines and/or direct trains. Here are details of the most important airport railway lines. 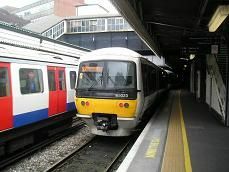 Stations: Barking, Woodgrange Park, Wanstead Park, Leytonstone High Road, Leyton Midland Road, Walthamstow Queens Road, Blackhorse Road, South Tottenham, Harringay Green Lanes, Crouch Hill, Upper Holloway, Gospel Oak. 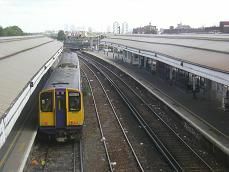 Description: This often forgotten line goes west across north-east London starting at Barking on the Fenchurch Street to Southend line, all the way to Gospel Oak near Camden, where it meets up with the North London line. 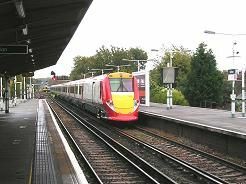 Much of the line is above ground level so views across London are part of this railway line experience. 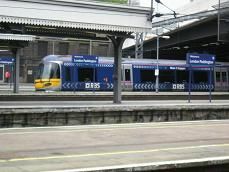 Stations: London Paddington, Greenford, South Ruislip. 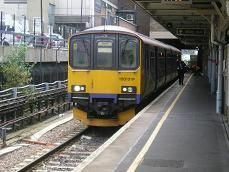 Description: This forgotten line runs just one train each weekday in each direction between Paddington and Princes Risborough. This is because the Train Operating Company, Chiltern Trains, needs to use the line to keep it open for engineering purposes. History: This line was originally the London end of the Great Western Railway route from Birkenhead Woodside via Birmingham to London. 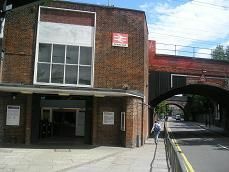 Stations: Richmond, Kew Gardens, Gunnersbury, South Acton, Acton Central, Willesden Junction, Kensal Rise, Brondesbury Park, Brondesbury, West Hampstead, Finchley Road & Frognal, Hampstead Heath, Gospel Oak, Kentish Town West, Camden Road, Caledonian Road & Barnsbury, Highbury & Islington, Canonbury, Dalston, Kingsland, Hackney Central, Homerton, Hackney Wick, Stratford. 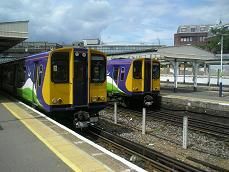 Description: The North London line actually starts in the South West of London at Richmond, before going in an arc across north London to Stratford in the East. 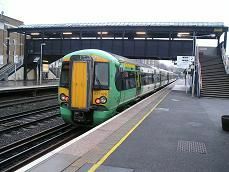 With the Olympic Games coming in 2012, this strategic line is likely to become more busy than it is. Trivia: This is the only Network Rail line which appears on maps of the London Underground. Trivia: Kensington Olympia used to be used as the terminus for the Motor rail trains which transported cars and their owners to the far north of Scotland in the 1970's. Description: This privately owned community railway aims to join up with the Darlington to Bishop Auckland branch. 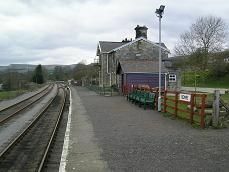 Description: This community railway aims to join up with the East Coast main line at Northallerton in the east, and with the Settle & Carlisle line at Garsdale in the west.